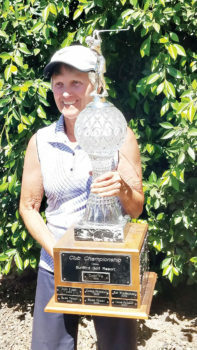 SunBird’s Lady 18ers finished up the season with the Club Championship, with Karen Gilmore prevailing in a close two-day test. She played Gilmore Golf – smart and very consistent. Congratulations, Karen, you are a wonderful ambassador for women’s golf. First place in the flights were Flight 1: Cindy Vig, Flight 2: Dee Lee, Flight 3: Sally Bertino, Flight 4: Carol Garrett. Let me introduce our new officers for next season. Our secretary is Lisa Onyx. She spends summers in North Barrington, IL. She took golf as a college class so has been playing since her 20s. She gets that beautiful tan from water aerobics, volleyball and pickleball. Chances are that you know Lisa through her gregarious Lab, Denali and have encountered them on walks. Both her mother and her mother-in-law live in SunBird! Her favorite club is her 6 iron, because she used it to score her first hole-in-one at Oakwood CC. Our treasurer hails from Boise, ID, and plays her golf at Plantation Club. Cheryl Moore says they found SunBird quite by accident; they saw the sign and drove in. People were out and about and so friendly. When not golfing, she might be with Irish Club, Ceramics, Bandits and Roadrunners. Her favorite club turns out to be her chipper – a club that she found as a demo at the golf show and bought for $25. She relies on it to score low. An accurate chipper is money. Vice President Margie Leach is from Redmond, WA, and plays at Trilogy. 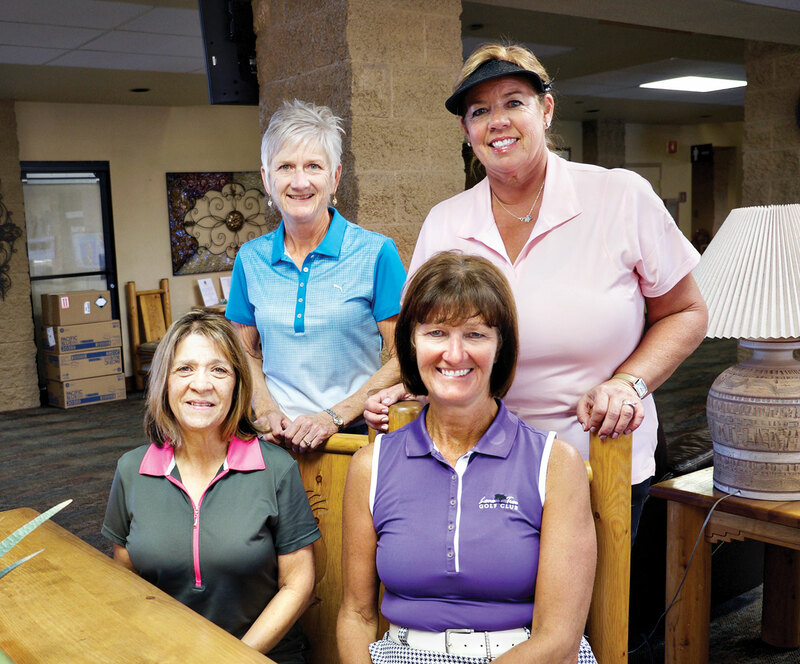 For years, Margie organized the various shootouts at SunBird. She remembers her first couple’s shootout experience. Get her to tell you about it. Her story will include a near miss; a peek when someone needed to keep head down and they were out on the first hole! Margie’s takeaway from that experience was the wonderful friendship that developed and the good story and fond memories. Our president this next fall is Melissa Craig. Fifty-one percent of the year, she lives in Sherwood Park, Alberta. She represents our neighbors to the north well. The house is regularly draped in red, white banners and maple leaf. 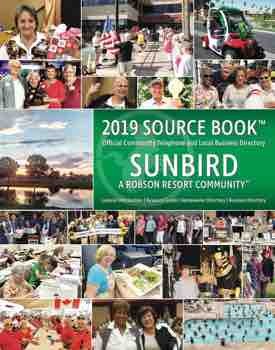 She said she became more focused on golf when they moved to SunBird. She is an avid golfer and tennis player; she can make any plant bloom. Her favorite club is a hybrid 6 that she used to score a hole-in-one on our third hole. Who can even get to 3 with a H6? If the way you do anything is the way you do everything, we have all the talent we need in our leadership. We have officers who can choose the right tool and get things done efficiently, ones who manage money well and make great choices and ones who know that fun, friendship and great memories are what SunBird Ladies 18ers are all about. What is your favorite club in your bag?